With property prices skyrocketing, it becomes essential for you to apply for a property loan whenever you wish to invest into a new property. If you want to save your time and efforts in applying for a loan, then you have come to the right place. At Vaishnav Properties And Finance, we are indulged in providing dependable property loan consultancy services to the property buyers across Kota (Rajasthan, India). 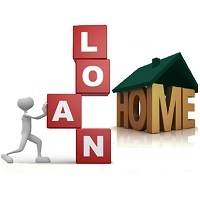 Our consultants are well-versed with the procedure of attaining a property loan from a bank. We are associated with HDFC bank, YES bank, Realigare, India Bulls, DHFL, Shree Ram Housing Finance, and similar others. You can contact us for getting residential property loan, commercial property loan, home loan, and loan against property.